I won’t venture an identification here, but it was too attractive to pass up! Can anyone narrow it down for me? Another Erotylid? Hmm, but maybe the antennae are clubby enough. Should be Chrysomelidae, Cassidinae, Arescini, Cheilobasis bicolor. 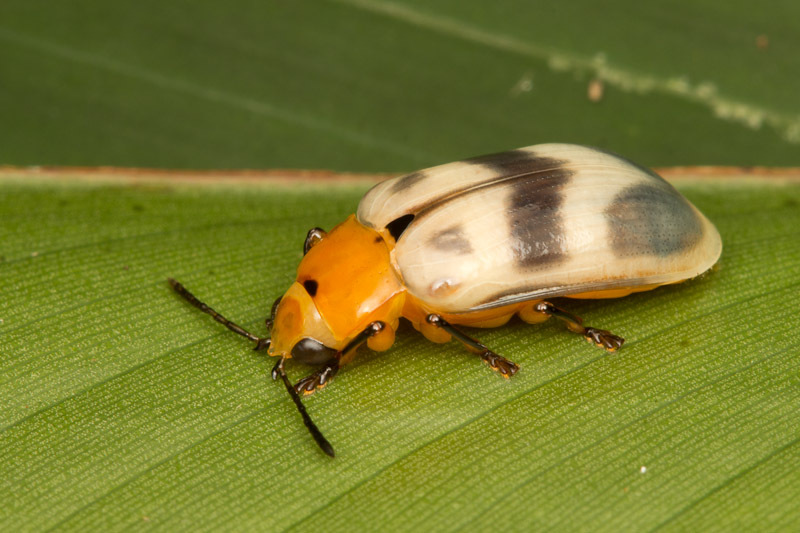 Did you get my comment on Mystery Beetle, Callirhipidae? ?